By midnight on December 31st I had proudly mastered the art of mojito-making, but during the next morning’s brunch with friends I was challenged to improve my organizational skills for the new year. Apparently, my scatterbrained process of gathering ingredients and forgetting where I keep stuff in my kitchen was more noticeable than I thought. Resolving to become more organized for 2015 got me thinking about the small business owners I often chat with at Method. I hear of similar struggles when they recall their business prior to Method:CRM, and they all relate back to disorganization – missing information, wasted time, the fear of customers slipping through the cracks – you get the idea. If you’re moving towards a paperless (or even just a paper-less) operation, having a secure document storage application on your side will help your team make strides. There are many great cloud storage services out there, but for a truly organized operation, your business applications need to be connected. SmartVault is a great file storage and sharing service that integrates with Method:CRM and QuickBooks! Recently, I’ve been reading articles on decreasing the use of email to increase productivity, but there’s no question – email remains a business’ primary form of communication. And for me, this is no different – I don’t even have a phone or an extension! There are many reasons why I’m a fan of Gmail, such as customizing how my inbox is set up. But more importantly, I love how easy it is for me to document communication activities in Method:CRM right from Gmail whenever I email a customer. Next to QuickBooks, I would say our Google Gadget is our customer’s second-most loved Method integration. Some of you may recognize this app from a blog post I previously did on apps to help organize your personal life, but I’m mentioning it again because I also use this at work. If you’re doing research, searching for inspiration, or just happen to stumble upon something online you’d like to save for later, Pocket is very helpful! Like Gmail, you use a tagging system to organize online content you’re interested in reviewing later. Let’s say you’re reading a blog post but don’t have time to finish the post: save it to Pocket where you can even read it offline. Google Docs is like coffee for me – I can honestly say I can’t imagine my life without it. My team creates and collaborates in Google Docs everyday, increasing productivity and organization. I think back to previous companies I’ve worked at where documents would be shared and collaborated on by sending everything through email, and I shudder. We couldn’t talk about getting your small business organized without mentioning QuickBooks – the best accounting software for small business EVER! (Okay, our QuickBooks sync engine makes me a little biased). If you’re going to get your small business organized this year and haven’t adopted accounting software, QuickBooks is where to start. Repeat after me: “I will not manage my business finances in a spreadsheet in 2015”. Methoders speak with numerous customers everyday, so we practice what we preach (and sell!) by using Method:CRM to manage our customer relationships and keep the internal team organized. The team documents all customer interactions within Method to ensure all our team members have timely and organized details on every customer we serve. This way, we can provide excellent customer service and don’t waste time in an email and sticky-note paper trail. – create and track customer service tickets (“cases”) or allow customers to create and track their own through a Customer Portal. 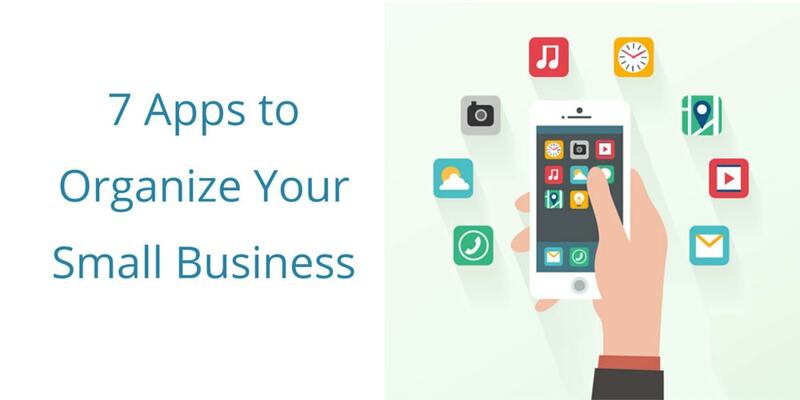 What are some of the applications helping to organize your small business? I would love to hear about the tools and techniques that keep you organized at work, so feel free to leave a comment below or tweet me.